Anheuser-Busch is sending 300,000 cans of canned water in response to Hurricane Florence. Big Beer is looking to help out in a big way in the wake of Hurricane Florence. Anheuser-Busch, which has sent emergency canned water to disaster-hit areas for more than two decades, has 300,000 cans of water on the way to the region expected to be hit by the storm targeting the Carolina coasts. Also chipping in: Miller Coors, which has 200,000 12-ounce cans of water en route. 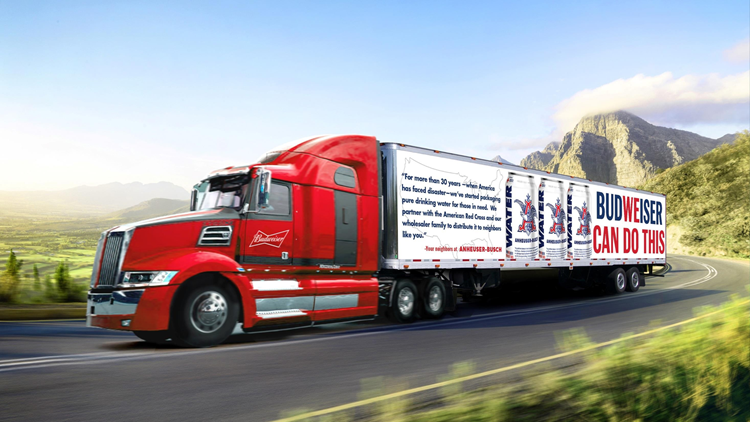 At the request of the American Red Cross, Anheuser-Busch has delivered canned drinking water to communities hit by disasters for more than 20 years. It has six truckloads of water headed to Florence, the company says. Last year, A-B sent more than 3 million cans of water to Puerto Rico and across the U.S. in response to wildfires, floods and hurricanes. MillerCoors is donating 200,000 12-ounce cans of water from its brewery in Shenandoah, Va., to those impacted by Hurricane Florence. The water cans will be distributed by the American Red Cross and community shelters. 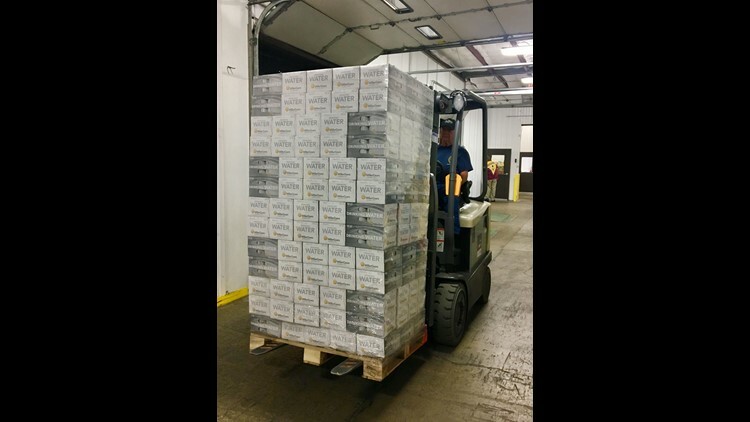 MillerCoors has 80 pallets of 12-packs of water cans headed from its Shenandoah, Virginia, brewery to the American Red Cross and community shelters. In the recent past, the company donated more than 550,000 cans of water to Texas, Florida, Puerto Rico and the Caribbean after hurricanes. AB's canned water has always been produced at its Cartersville, Georgia, plant, but the company has converted its Fort Collins, Colorado, brewery to be able to send more water when needed. The brewer ran a commercial during the Super Bowl in February showing off how its brewery can switch to canning water, as opposed to beer.